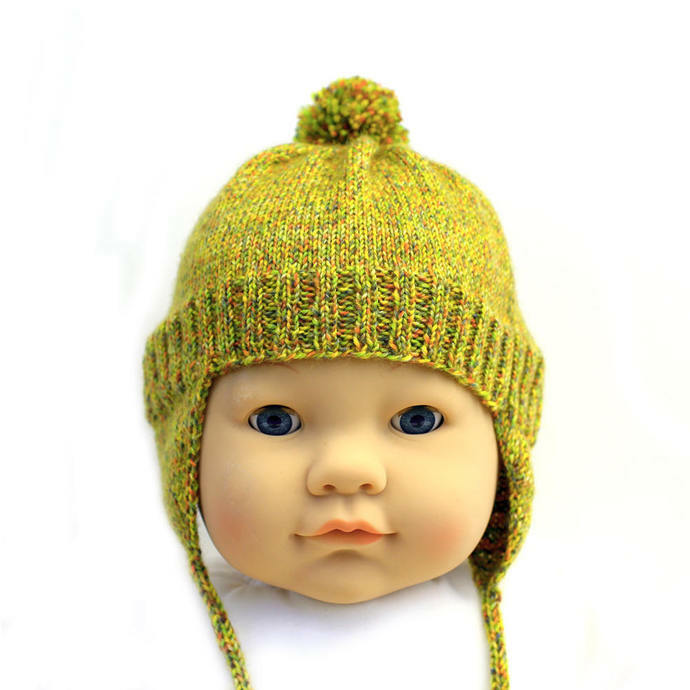 Earflap hat with matching thumbless mittens in yellow tweed superwash wool blend yarn are sized for approximately a 3- to 9-month-old baby. These traditionally knit mittens are knit by hand in-the-round with superfine weight wool blend yarn. Hand knit in the Texas Hill Country. 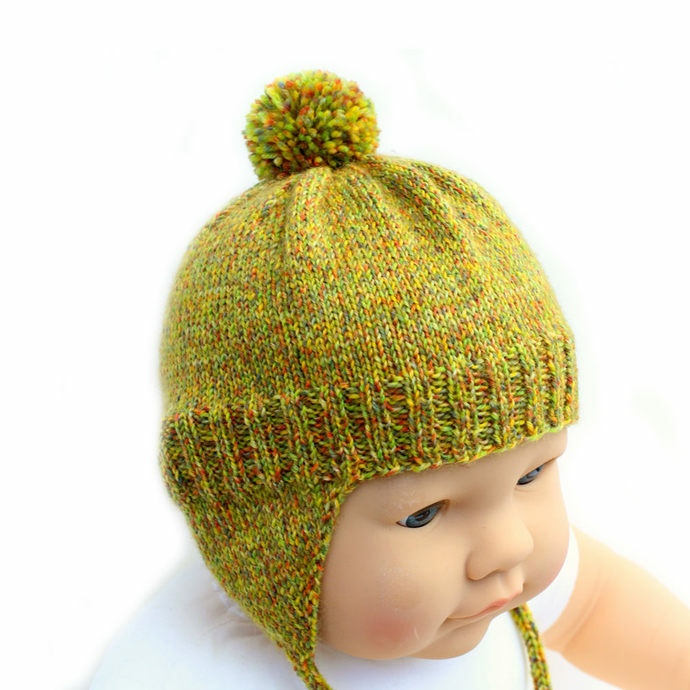 These baby's lightweight wool and nylon blend thumbless mittens and hat are knit in smooth stockinette stitch with seamless construction. Thumbless mitten design easily slips onto small hands. Left and right mitts are interchangeable. Ribbed cuffs gently hug the wrist. 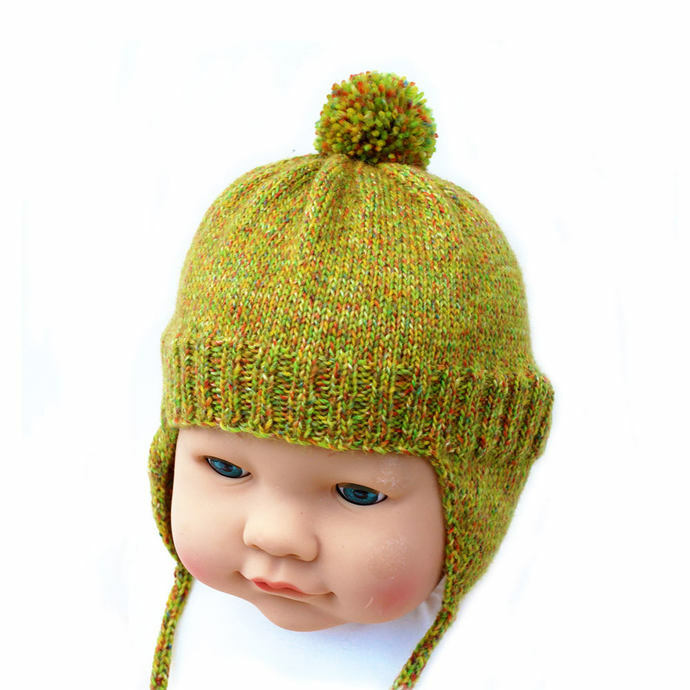 The hat is topped with a 2" (5.08 cm) diameter pompom. 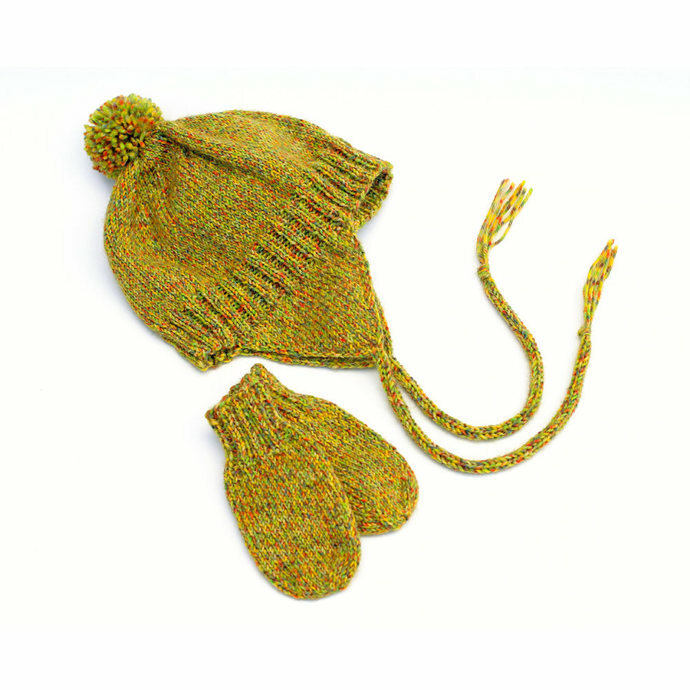 Mittens are available in two styles: with or without coat cord. Select style when ordering. The coat cord is a knitted tubular cord that is attached to each mitten to join them together. It will help prevent the mittens from being lost if baby does manage to wiggle out of them. To use, simply slip each mitten through a jacket sleeve and secure the cord with the provided safety pin to the inside back neck of the jacket to hold it in place. 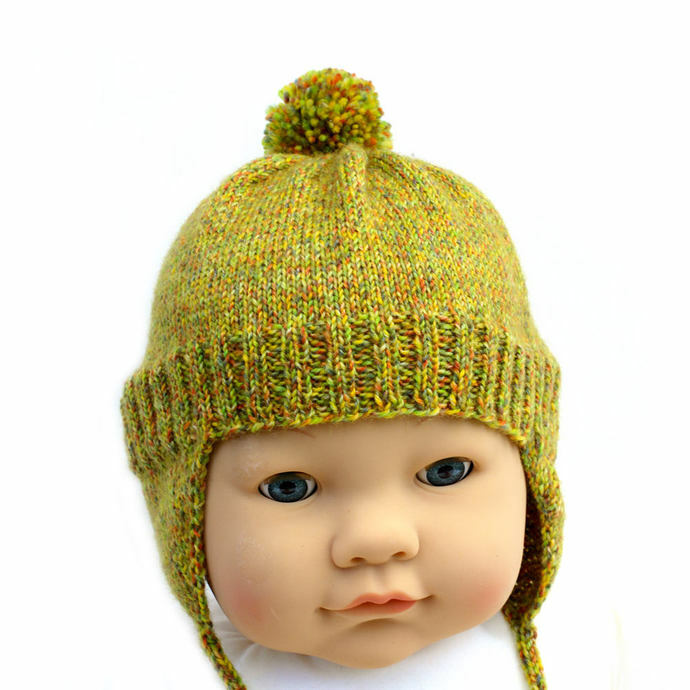 Hat is displayed on a 17" (43.18 cm) circumference mannequin head and is quite stretchy. Fiber Content/Care Instructions: Top quality, long-wearing, four-ply yarn (imported from Turkey) is a blend of 75% superwash virgin wool and 25% polyester. (This washable wool blend does not felt.) Hand wash in cold water. Reshape and lay flat to air dry.